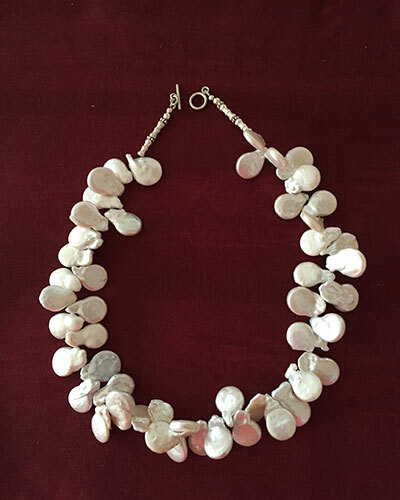 Pictured above is a coin pearl necklace – 18 inches long with sterling silver clasp. Made on Molokai! Stop by the store to see our current inventory of fashionable jewelry for all occasions.